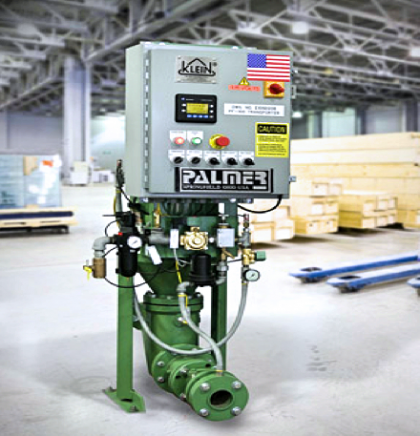 Palmer Manufacturing, Klein Technologies and MetalTech Systems have been awarded the contract to supply a new cold box core sand mixing system to MPG, Biscoe, North Carolina. The contract will consist of three new Klein Stator-Mix batch mixing stations, Palmer Sand Heaters, Klein Plug-Flo pneumatic sand transporter system and MetalTech Systems platforms and sand bins, providing for a complete installed system. MPG is an industry leader in complex metal-formed components for engine, transmission, driveline and suspension applications for the automotive, commercial and industrial markets. 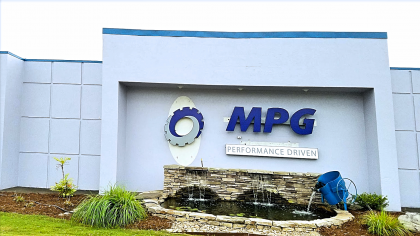 MPG focuses on components that are essential to vehicle performance, fuel economy and safety, which are among the fastest-growing and most crucial categories within the vehicle. The roots of the Klein Technology Group, date back to 1928 when Albert Klein, son of a miner in Germany, started to sell sheet metal products to various factories. 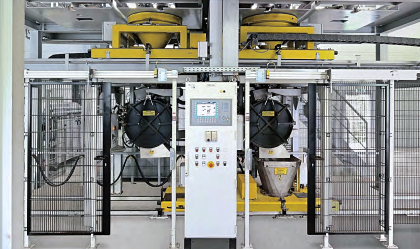 Klein soon became a specialist in the pneumatic conveying of sand and other abrasive materials using compressed air. Klein specializes in the pneumatic conveying of sand and other abrasive products commonly used in a number of industries. Building strong relationships with partners along the way, have been a key element to MetalTech System’s growth and success. These partners were in various industries, such as, Metal-Casting, Solid Waste Recycling, Bulk Material Handling and Aggregate – Mineral Processing, just to name a few. MetalTech Systems excels at projects such as consulting, maintenance and repair, design, manufacturing and installation. With everything they do, they are engineering solutions for the future. Palmer Manufacturing & Supply, Inc. has long been known as a producer of heavy-duty, high-quality, long lasting foundry equipment. Started as a jobbing iron and aluminum foundry in 1975, Palmer has grown into one of the world’s most recognized names in foundry equipment. With a product line that grows as fast as it can be designed, Palmer aggressively pursues growth not only in the foundry industry, but now in the industrial market as well.